Even the King of Hell needs love. 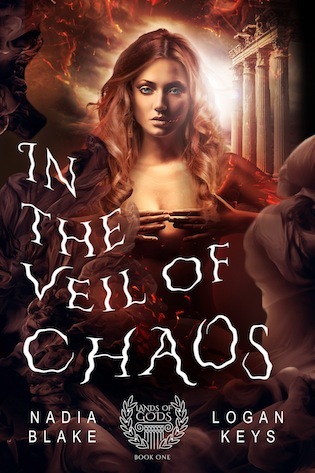 A retelling of the tale of Hades and Persephone in a world thrown into chaos. The loss of Persephone’s father brings her two choices, wed the man who murdered her family, or die. But Hades has another plan, one that will bring a sweeter pain than death. To bring this plan to fruition, the two must face their tragic differences again… in Marriage. Nadia is a wanderer, lover of fantasy, romance, action, magic, and mystery. When she’s not writing, she’s casting spells on her husband and thinking up ways to bring more love and light to her family. The proud mother of two kids, she’s also the owner of a lovable dog and an ornery cat. If you like her stories, please feel free to visit her on Facebook where she hangs out sporadically or drop her an email. Logan’s currently half way to Japan working on her new voyage (hint hint) into fantasy, but she’s still “keeping it real” and writing futuristic sci-fi on the daily. 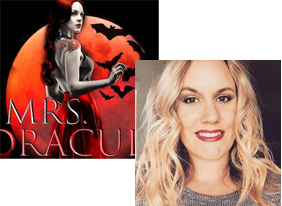 Visit her at https://logansfiction.com/ and click "VIP UPDATES" on the right-hand side of the page to keep in touch!